Tell me a bit about yourself. How did you wind up doing programming work? My dad got into computers when I was a kid. He wire-wrapped them from kits and eventually bought an Apple II. I wrote programs in BASIC, assembly and whatever other languages I could get my hands on. That’s pretty cool! I never got into PC programming initially, but in 1999 I was given an old IBM PS/2 to mess around with. I learned EDLIN one Saturday and from instructions wrote my first “phonebook” program” from directions in the back of an old DOS book. Never really did any coding in my kid years till I hit 19 and discovered Game Maker Studio in 2006. How did the idea for Comet Busters come about? Someone I knew in college had Borland Pascal for Windows and I was eager to try some Windows programming. I hung out in his room and hacked up a Missile Command-like game, which is on the registered version of CB. I wanted to try a more complex Windows game with sprites, which was not something very well supported at the time. Eventually I learned enough of the Windows API to make it sort of work. What happened next? How did you playtest, finalize a stable version of Comet Busters to distribute? What was the process of “I made a game, I have to put it out there!” before the WWW-era? I sat on it awhile, then decided to polish it up and release it. I bought a raytracing book and used its software to make the sprites. Playtesting was mostly by friends in the dorm, which is why multiplayer was an early priority. I made a help file because that was what everyone did back then. Releasing was just a matter of using a shareware tool to build an installer, figuring out the price ($9) and uploading to local BBSs. I didn’t expect any registrations, but they started arriving at my parents’ house from all over the world. My mom was a good sport about shipping them out while I was away at school. Yeah, like many others of that generation I probably got my sense of humor from Infocom games 🙂 I went to school in Florida so I understand neon ground effects — “fluorescence essence” as I’ve heard it called. Maybe the disruptor effect in Comet kinda recalls that aesthetic. That’s not too dissimilar from what I’ve heard from a few different folks who were releasing games. A lot of people I had talked or read stories about, their “companies” turned out to be one-man operations in which they were shipping diskettes out of their houses. The trait was quit common; does this surprise you any? Also along with that, how successful did Comet Busters turn out to be? Did this success inspire you to continue doing computer programming? Did you shift focus to go after general programming or to continue making games? More successful than I expected, which is to say greater than zero. I sold maybe 3000-5000 registered copies, and we had a map on the wall with thumb tacks from the different countries that sent us registrations in all sorts of currency. One little girl sent us a colored pencil drawing of the first level with little spitballs for stars. One kid wrote us claiming that playing Comet Busters made him reunite with his dad. It was great, but I was interested in all sorts of programming domains beyond just games — although I was excited by how fast the technology was progressing. That’s really something to make you stop and think when something you made affected someone. I’m really glad that you had success with it. It’s really interesting and even heartwarming to hear about the stories that got sent to you. To add to your pile, I have one to share! 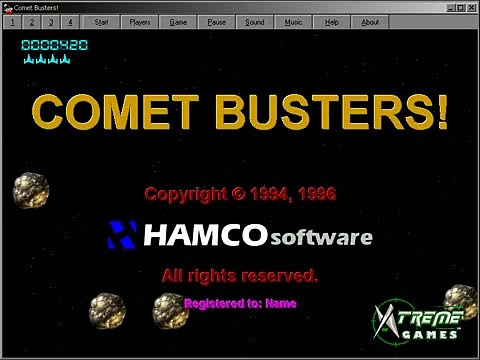 Comet Busters was one of the games I played very frequently back in 1999. My brother and I were often the ones who played together, sometimes the cousin I keep mentioning as well. We all liked it because we could all play together at one time, rather than do “watch while someone plays” with the limited amount of games we had back then. We were often very possessive of the ship colors, very particular of who played what color (yes, we played over who liked which color, not who was player 1). I don’t remember when, but possibly 2001ish, my brother and my cousin came up with the grand idea of write a story about Comet Busters. While it never really got “written”, it had a few doodles and hours of talking that spurned from it. 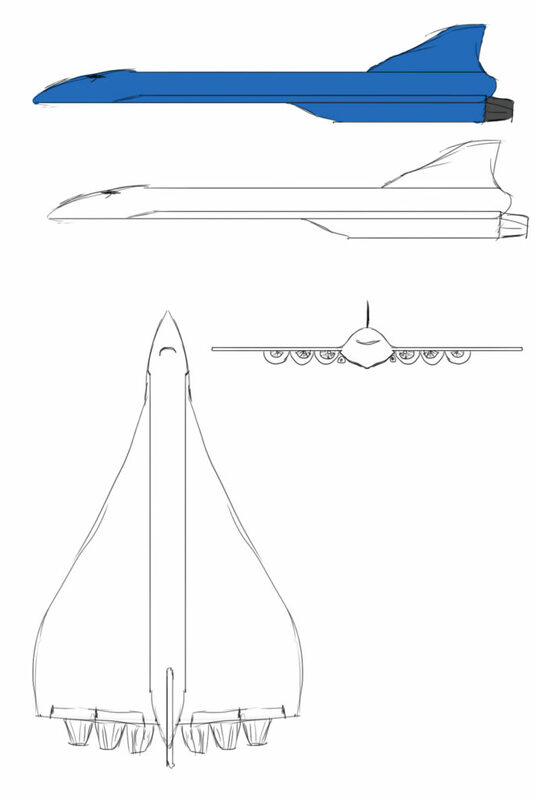 We had imagined that we had a “baseship” (which was a giant blue space-capable Concorde*) that the ships would launch from, planets hiring us to “get rid of comets” for them before it’d cause problems. Most of these ideas sprouted from boredom at family outings when we weren’t allowed computer usage or to bring out toys, just stuck with each other and nothing else to do while the families talked. 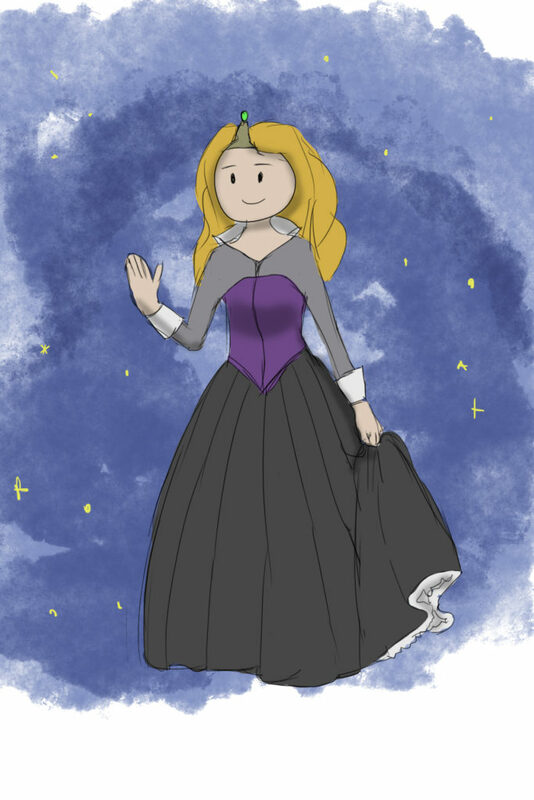 One time we had to rescue a princess who got kidnapped by the smiley-face enemies (who happened to really and very coincidentally resemble Princess Odette from The Swan Princess cartoon movies ** ). Another was finding aliens who were breaking up a planet and causing the comet/asteroids to fly to different planets. It was if every visit was an “episode”, much like a show. Who knew what would happen next time! That’s great, I enjoy hearing that kind of stuff. Video games were one of my earliest obsessions too. It’s funny to hear stories about people that have played it, because I did not meet anyone who had (or maybe I forgot to ask) until maybe 10 years ago when a coworker told me he had a registered copy! Glad I entertained you with that! I only met one person randomly in a gaming lobby years back (2005) who knew Comet Busters (It was either Space Empires or Halo). I was griping about how the UFO would “mind its own business to just dodge it” in a vague reference. Said person pipes up “That thing DOESN’T mind its own business”. Beyond that, my cousin was the only person outside of our house that I knew that had played the game. At that point, what kind of strides had technology made that made you excited? What did you branch out into next? The first time I discovered your software was off a cousin’s copy off a Softkey CD “100 Great Kids Game”. The guy who made Softkey is a story in itself; how did you manage to get Comet Busters bundled with the CD? Hmm, that was an…ahem, interesting mix of content on a CD. :S I’m actually curious what kind of games was on the Japanese one now. Darn. In brevity, Softkey was a small startup company that made money bundling software like yours into CD’s like the “100 Great Games for Kids” and sold them across the country. It started out with a guy borrowing $10,000 from his mom before burning CD’s in his basement back in the early 90s. Softkey became the top dog out of everyone, the guy who had started it having made billions in a few years. In the mid to later 90’s he bought out hundreds of software companies, including The Learning Company. This guy is no other than Kevin O’Leary, the famous billionaire that shows up on the TV reality show Shark Tank. Without starting another story (unless you don’t mind), pray tell what sprites led to this brouhaha? In this current day and age, what do you do in your field currently? I know you had mentioned web design. I’ve worn many hats, but my current “day job” is Heytell, which is a voice-messaging app for iOS, Android, and Windows Phone. My wife and I quit our jobs and traveled the country with our cat developing this app, and it went big in 2011. With the advent of game creation engines in the last few years such as Construct, Unity and others, its become a bit easier to make games (although you still need to have some coding know-how). 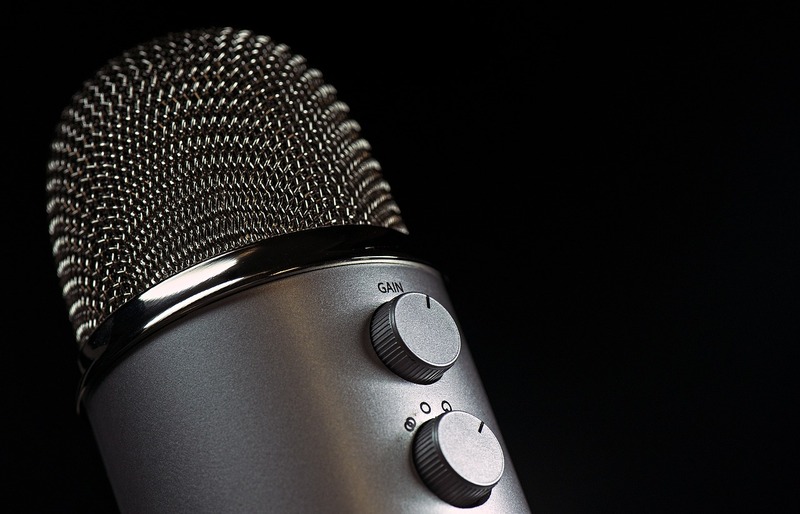 Have you ever thought with dabbling with games again in light of these new tools? Yeah, I did play with Unity experimenting with procedural fractal geometry, and I was impressed by how easy it was to hack something together with lighting and shadows and everything. I also made a human-vs-AI board game called Feldspar (http://feldspargame.com) using libGDX. I’m not sure it’s strictly easier making games nowadays, since you have fewer limitations to keep you constrained. Pico-8 looks interesting, it’s an 8-bit “fantasy console” programmable in Lua. Do you do any current-day gaming? If so, what are some of the games you play? I do, but not as often as I used to. The last AAA I played was GTA V. I also played Kerbal Space Program for a bit. When we have nieces or nephews over I bring out the OUYA and we play BombSquad multiplayer. Anything special in the works that you have planned and/or we should look out for? Great talking with you! I hope you seek out other shareware devs and get their oral history too. I’m kind of curious to hear what my peers were up to back then! Hoo, don’t worry, I did seek out. May be a bit behind, but I most certainly did. 🙂 It was really great to be able to talk to a developer behind one of my favorite childhood games. I never thought it would’ve happened, now it did! Took a bit of time afterwards, heh. And why are you still…oh, that. Yeah. So going with that, I did a quickie rendition doodle of this gal based on that info. Wasn’t a big 2h+ piece of art so sue me. Still, looked Adventure-Timey from the style. Also a bit drafty, but this is what supposedly that blue Concorde baseship looked liked. Six engines, fatter nose and two main guns recessed into the hull. I actually did recover a name, too. The Zaracer. Our Comet Busters baseship the Zaracer. Back in the day, the more engines = the faster it went. And that does it for this week! Great interview! Very thorough and informative, I had fun reading it! !